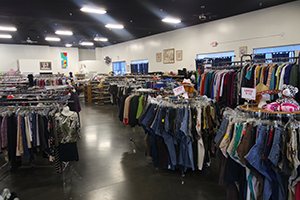 Stepping Stones’ social enterprises include Stepping Stones Thrift stores, Step One Coffee House, Step One Community Center, and Next Chapter Recovery Bookstore. Shopping and donating at these locations means your money and goods stay local and impact families right here in our community. Stepping Stones has worked diligently to move from a “charity” posture and “entitlement” mentality to a “consumer-driven” posture and “high-impact service” mentality in the way we run our businesses and provide services. We believe this agency-wide shift in posture has created a culture of possibility that has a profoundly positive impact on those individual adults and children that come to us for help. Our social enterprise services provide several areas of paid job training venues for adults in our advocacy programs each year. They also provide affordable training/meeting space to community-based service providers. And most importantly, a sustainable revenue stream to assure that all of our services are available to our community 24/7/365. 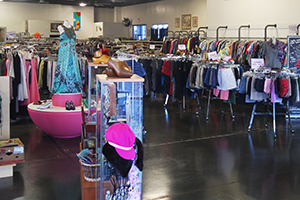 Since 1997, your thrift store donations have provided hundreds of paid job training opportunities and supported the operations of our 24/7/365 safe shelter and advocacy services for adults and children in our West Yavapai County communities. 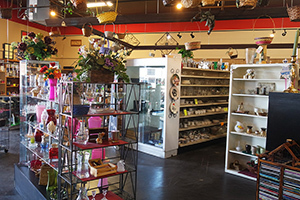 We gratefully accept your generous thrift store donations of furniture, home décor/housewares, working appliances, office supplies, tools, sporting goods, clothing, and accessories. We also take cars, boats, etc. as long as they have a valid title. If you aren’t using it anymore, we’ll take it! 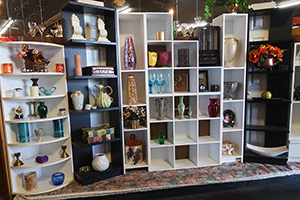 We are also happy to pick up your furniture donations – and you don’t have to haul it out to the curb! 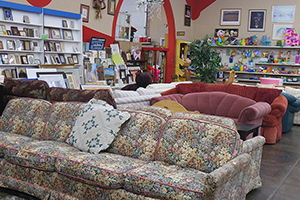 Call our Donation Center at 928.759.0225 to schedule a pick up of your large furniture items. 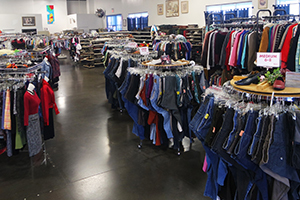 Monday – Saturday 9 a.m. to 5:30 p.m. Sunday 10 a.m. to 5 p.m.
Monday – Saturday 9 a.m. to 4 p.m. Sunday 10 a.m. to 4 p.m.
No Donation Drop Offs accepted at this location. Please drop off at the Red Barn Location. 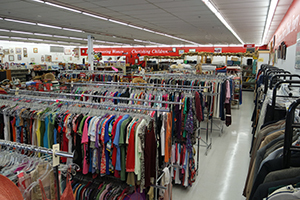 Stepping Stones Thrift Stores will pick up donations from your home throughout the Prescott – Prescott Valley – Chino Valley area! 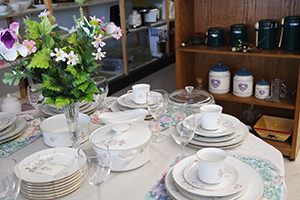 If you have large items like furniture or appliances that are in good, salable condition that you want to donate to Stepping Stones, call our Donation Center at 928-759-0225 to schedule a donation pick up in the Prescott and Quad Cities area. During busy seasons, our trucks are often two weeks out to schedule a pick up, so please plan ahead! 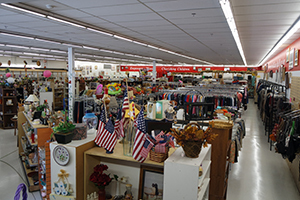 Questions about if we can take your donation in the Prescott area? Call us at 928-759-0225. 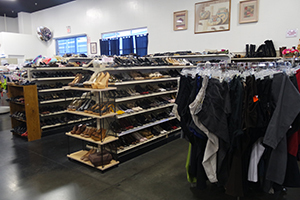 Stepping Stones Thrift Donation Center schedules all pick ups for Prescott, Prescott Valley, and Chino Valley areas. 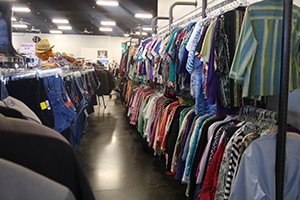 Please call 928-759-0225 Monday – Thursday 9 am – 4:30 pm to schedule your donation pick up. If you receive our voicemail, please leave a message with your name and phone number, and we will return your call at the earliest convenience. 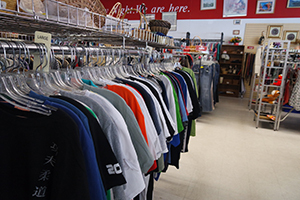 Donation Center associates will advise on items that we can/cannot accept as donations. We are unable to accept mattresses/box springs or any TVs that do not have HDMI hook ups. At this time, we are also unable to accept dishwashers and entertainment centers. Our drivers have the final say in what they will be able to accept at the time of pick up. Please note: we are unable to box or provide any packing assistance. 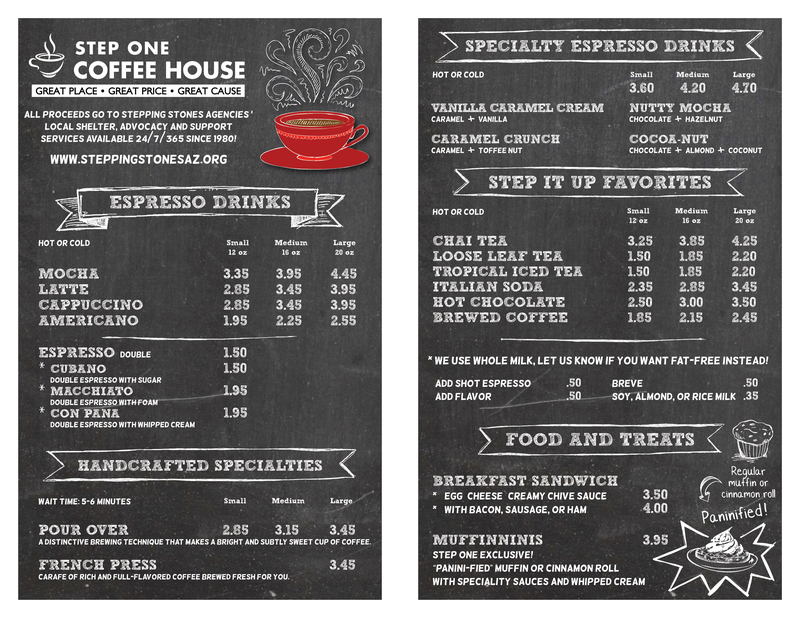 Step One Coffee House offers a selection of hot and cold coffee drinks, loose-leaf teas, smoothies, muffins, breakfast sandwiches, and other snacks. Step One Coffee House also is available to provide onsite catering for meetings hosted in the Step One Community Center. 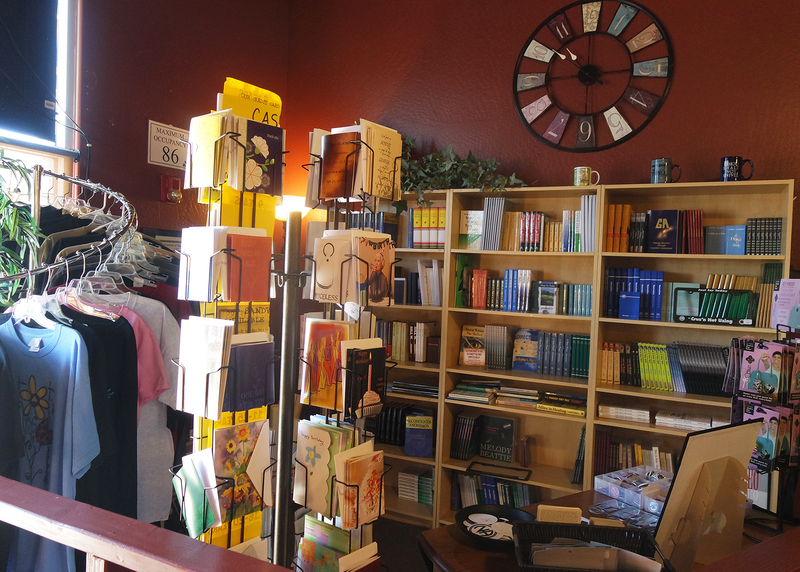 Located inside the Coffee House is a Specialty Bookstore providing 12-step recovery and personal growth books and gifts. 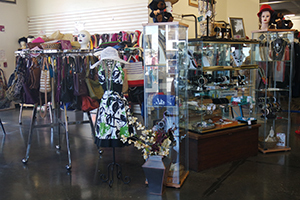 Proceeds from your purchase directly support Stepping Stones Agencies’ 24/7/365 emergency shelter, advocacy and support services we proudly offer to women and children who are victims of family violence, sexual assault and homelessness in our West Yavapai County communities. 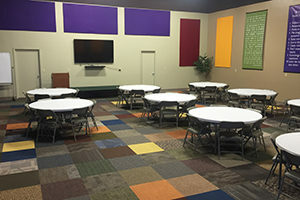 The Step One Community Center is a resource center consisting of five meeting rooms, including a large conference room, 12-Step recovery and support group meetings, and the Wall of Resources. Learn more about each of these Step One Community Center services. If you would like more information about how you or your not-for-profit organization can utilize the Step One Community Center, please call Leslie at 928.772.4184. 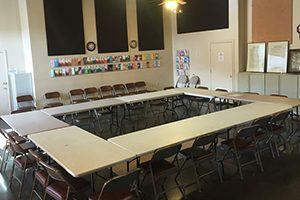 The Step One Community Center meeting rooms provide not-for-profits and community organizations an affordable place to hold board and staff meetings, training sessions, and annual strategic planning sessions. 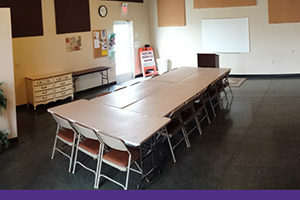 All of the Step One Community Center rooms are adjacent to our Step One Coffee House where your participants can get the best coffee drinks, teas, breakfast sandwiches, bagels, muffins, and pastries in the area – and best of all, they can cater your morning or lunchtime events. 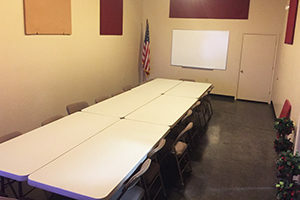 Meeting Rooms that hold up to 30 people are only $10 per hour. 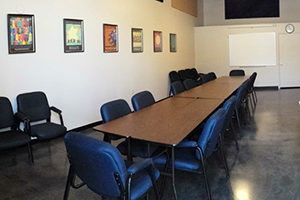 Our conference room, which can hold up to 80 people, is available for $20 per hour. For inquiries regarding meeting room availability and reservations, please call Leslie at 928.772.4184 or meetingrooms@steppingstonesaz.org to make an appointment. CLICK HERE to download and fill out the general room reservation request form. CLICK HERE to download and fill out the 12-Step rental reservation form. Sending in request forms does not guarantee a room reservation. Once forms are received Stepping Stones will contact you with a confirmation. Please inquire about reservations a minimum of two weeks before meeting date. 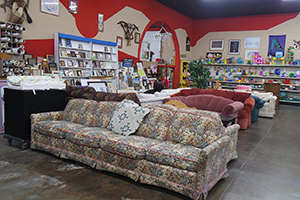 The Step One Community Center has 30+ weekly recovery groups and support groups in Prescott Valley. Below are lists of Prescott Valley and Prescott recovery groups located at the Step One Community Center and other locations in the quad-cities area. If you are interested in holding your registered 12-Step meeting here at the center, please contact Leslie at 928.772.4184. Beforehand, you can also download and fill-out the request form. The Step One Community Center Wall of Resources contains current brochures and information for the hundreds of local resources available to help individuals and families in our community. Not-For-Profit social services can keep their information available at the center for free. For-profit service agencies pay $50 per year to include their service information. We also have three special event boards that contain notices of current not-for-profit special service events in our community. We do not post or publicize fundraising events or general business promotional material. We only post events or notices that directly relate to resources or services in our West Yavapai communities. These resources are available for the public access Monday through Saturday 7 a.m. to 3 p.m. 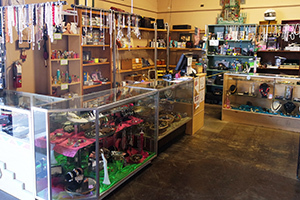 Stepping Stones now operates two specialty bookstores and gift shops that feature a variety of 12-Step recovery and support group books, medallions, cards, and gifts, as well as other inspirational gift items. 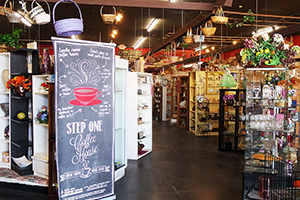 In Prescott Valley, the bookstore and gift shop is located inside Step One Coffee House at 6719 E. 2nd Street in Prescott Valley. 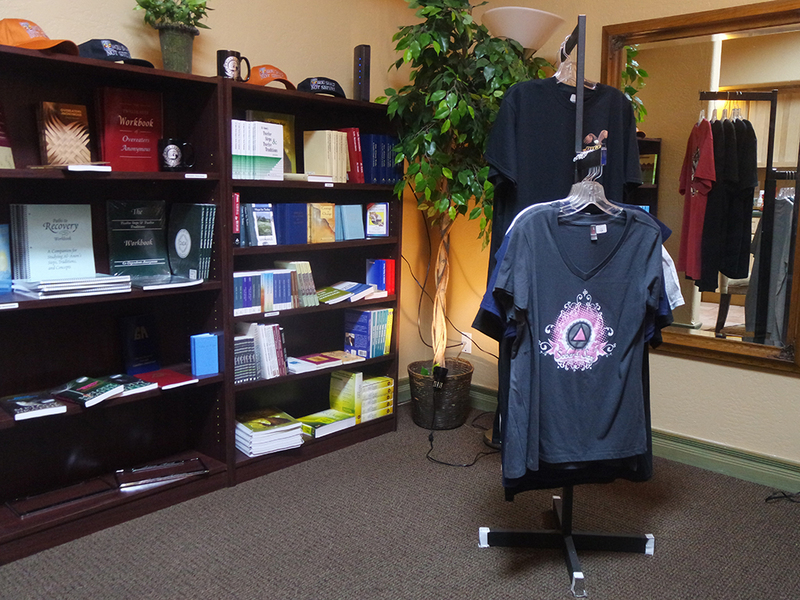 In Prescott, the Next Chapter Recovery Bookstore is located at 1670 Willow Creek Road, Suite A in the Santa Fe Office Plaza. Need that perfect gift for employee recognition, inspirational thinking of you, even birthday cards for your co-workers? What about celebrating and acknowledging someone’s special clean & sober anniversary? Check out the self-help specialty workbooks and journals for yourself or a gift for someone exploring their own personal growth and development. 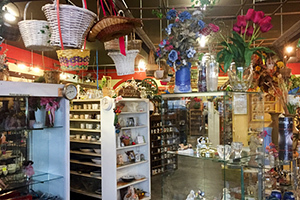 We can also special order items or gifts in quantity for groups. Best of all, get motivating and inspirational gifts, clothing, books, and cards while supporting the 24/7 services that Stepping Stones provides to women and children in our community. Special thank you to United Way of Yavapai County for their grant supporting our Prescott advocacy center and Next Chapter Recovery Bookstore!